As far as I’m concerned, the cranberry sauce is the most important thing on the table at Thanksgiving. I’ve felt this way my whole life and very few people seem to agree with me. That’s alright, I relish being an outsider. Because of my unmatched enthusiasm for this little crimson berry, I believe I am one of the world’s foremost cranberry experts (totally a real thing). That means you can 100% trust me when I tell you that this is the best cranberry sauce I’ve ever had. Hands down! The bay leaf, orange, and cinnamon stick directly infuse the flavor of the holidays into this dish. It blows that single-flavored canned stuff out of the water! This recipe is just so easy to make, there’s no excuse not to make it! 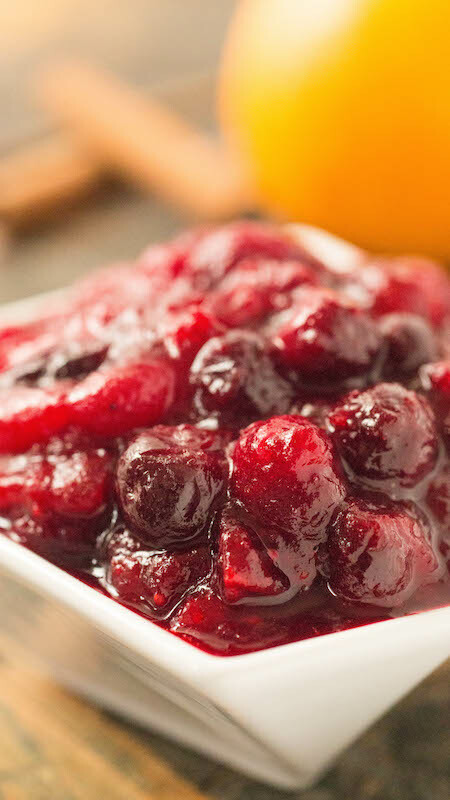 This year, treat your family to the cranberry sauce they deserve, this cranberry compote. 1. Heat a saucepan over medium heat. Add the sugar and wine. Stir to combine and bring to a simmer. Cook about 6-8 minutes until the sugar has dissolved and the mixture simmers with thick. 2. Add the cranberries and reduce the heat to low. Gently stir to combine with sugar and wine. After 3 minutes, squeeze the juice from the orange quarters into the pan. Add two of the squeezed orange quarters as well as the cinnamon stick, allspice, bay leaf, and salt. Stir often and cook another 10-15 minutes until the cranberries begin to burst and the sauce thickens. 3. Remove the pan from the heat and set aside to cool for 10 minutes. Remove and discard the orange quarters, cinnamon stick, allspice berries and bay leaf, and set the compote aside to cool completely. Depending on the texture of sauce you like, you may want to put the finished compote in a blender or food processor and purée. I just left mine as is because I like having the whole berries. 4. Store in an airtight container in the refrigerator for up to 1 week. 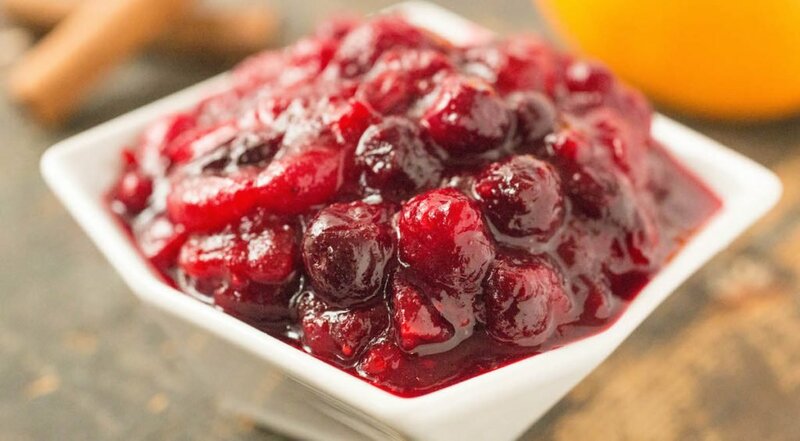 I have the BEST bomb diggity cranberry sauce hands down 12 ounce bag cranberries, 1/2 cup orange juice, 1/2 cup peach schnapps, juice of 1/2 a lemon, 1/2 cup water and 1 1/2 cup sugar. 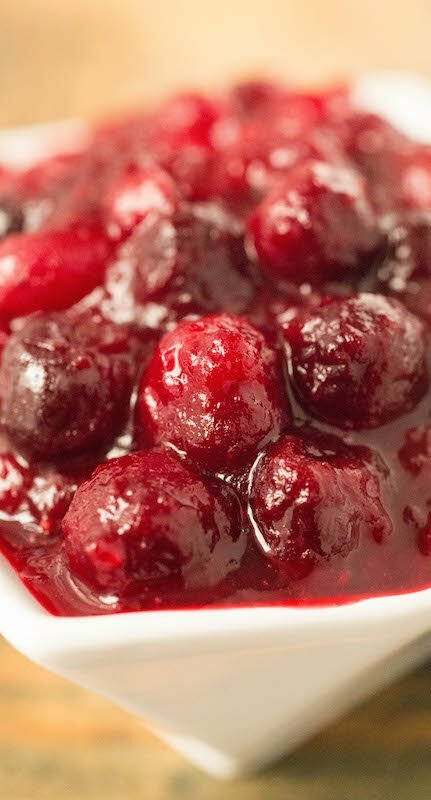 Combine in a heavy pan and cook low and slow until most of the cranberries have popped, and the sauce has thickened. You can adjust the sugar content if you want sweeter add another 1/4 cup or tart add a,1/2 cup less. Peach schnapps sounds really interesting, I’ll have to give that a try some time. I kno this precious blogger is NOT going to say. But it doesn’t mean that I CANNNOT ….so here goes ….HOW IN THE HAMM sandwich wud post YOUR own recipe in HER website!!!!! Go get ur own and POST ur recipe THERE…!!!!! get it?? ?got it!!…good! My oh my is this delicious! I made it today to serve tomorrow. I put one third of it in the food processor and left the rest as is so it would have whole berries like you mentioned. Thanks for the great recipe.